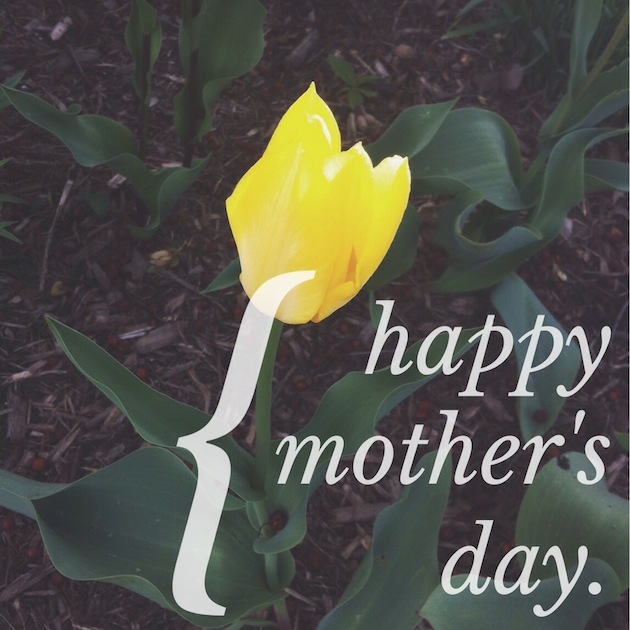 A Mother’s Day Card for My Internet Sisterhood. Two years and five months ago, my mom died. I thought then that I was motherless. Some days I still feel that way. And being the only woman in a family of men now without mom, some days I feel sisterless too. A girl alone in the world. There’s a void for words of wisdom, for nurturing spirits, for safe relationships. I know I can never really fill it. I know she can’t be replaced. But it is because of that deep need that I look carefully for women evoke the kind of life and joy that my mother did. In the face of death, I’ve begun to search for life. And when I notice a loving, nurturing, wise spirit I am drawn to it like a flower lifting its face to a sunbeam. I bask in it. I soak it up. I have those women in my day-to-day life, my aunts, my grandmother, my best friends. But I also have them in that little digital window of the internet. At the Festival of Faith & Writing a few weeks ago, I connected with so many friends I know online, most of them women. I know from the words they write that they are kindred spirits, but meeting them in person, spending time with them around tables and conference sessions and hotel pools, gave me something more. They were there with a warm hand on my shoulder, they were there with twinkling eyes and howls of laughter, they were there with their tears and looks of understanding. Their presence reminded me in every tangible way that I am not motherless or sisterless. So this post is a Mother’s Day card for my internet sisterhood, the nurturing women that surround me with their words of hope and kind hearts. Women like Sarah Joslyn and Kelli Woodford and Cara Strickland, women like Emily Maynard and Danielle Vermeer and Abi Betchel, women like Tammy Perlmutter and Brenna D’Ambrosio and Kristin Tennant, women like Emily Miller and Elora Nicole and Abby Norman and Leanne Penny, women like Grace Sandra and Natalie Trust and Tamara Barrack Rice and Leigh Kramer and Alece Ronzino, women like Idelette McVicker and Tina Francis and Holly Grantham, women like Addie Zierman and Rachel Held Evans and Sarah Bessey. I want you to know that you have enriched my life in every way – in my faith, in my writing, in my marriage, in my hope and in my grief. I want you to know that I bask in your wisdom and companionship. I want you to know that you remind me every day that sisterhood is about encouragement, not competition. I want you to know that your words and your stories are sacred to me. I want you to know that I see you, and you are faithful. You are true. You are beautiful. You are brave. I want you to know that you embody grace for me. Thank you. Happy Mother’s Day. I love you. April showers bring May flowers, they say. A small reminder that the downpours are a natural part of the creative effort that births all good things. It was a long winter here in the Midwest. But more than that, it was a long winter here in myself, too. Followed by a long season of sadness, followed by a long season of letting go. As a creative person, I hinge everything on this hope that the seasons are never wasted. The seasons of picking or planting, the layers of grief and death, the sunshine and the storms alike enrich the soil from which beautiful lives and stories grow. Perhaps that’s why I find myself so ardently trying to capture this spring after the long wait of winter, in iPhone photos and buds plucked from a blooming tree, in long hikes with friends. It is a survival instinct, a heartbeat, a pulse. It is my soul trying in every tactile way to capture hope. A way of saying to myself, your spring will come too. It’s May now and the April showers are receding. I think I feel a new season coming in on a warmer wind. 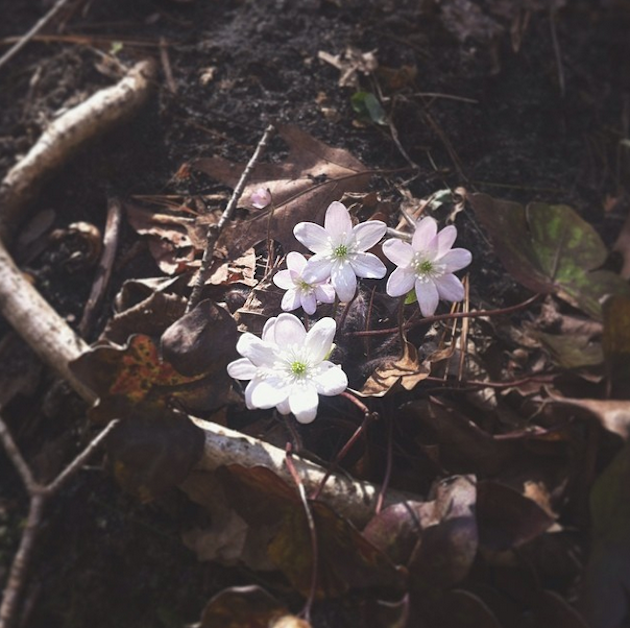 Seeds buried in the soil long ago are finally peeking through, green shoots of growth rising from dark earth. The effort and wait of years finally coming to fruition. And I sense that tightness of possibility like a bloom still in its bud : everything in its time. 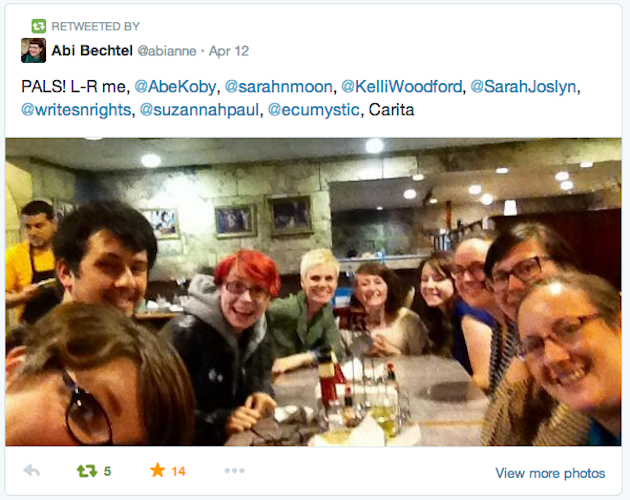 In case you haven’t noticed, it’s been a little reallllly quiet around this blog in April. Like, I don’t think I’ve gone this long without posting since I started this blog five years ago. WHOA. Sorry, guys. 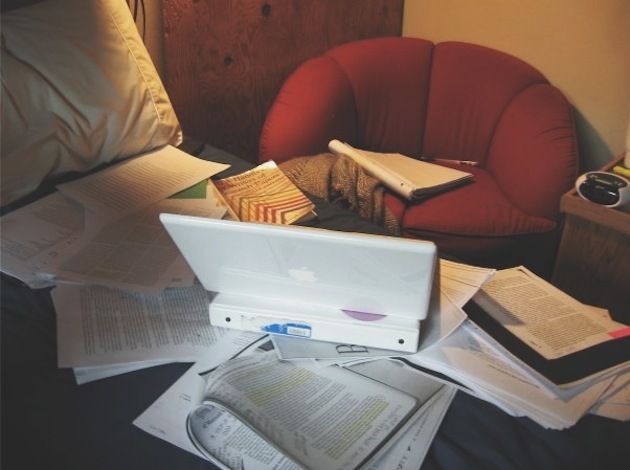 A month-long blog sabbatical was not my intention, but between attending the Festival of Faith & Writing at the beginning of April, Easter weekend, working on my book proposal again, and a loaded work schedule, this space has been neglected. Poor little blog. So sad. So alone. But never fear! I have a comprehensive, in-depth, where-in-the-world-is-Bethany-Suckrow behemoth blog post for you today. I’ve been wanting to jump in with Leigh Kramer’s monthly What I’m Into syncroblog for forever, and since you didn’t hear from me at all this month, I thought I’d use this as a way to catch everyone up to speed. I should be back to weekly posts starting next week, but until then, here’s what I’ve been into and up to in the month of April. The Book Thief. I could probably write a whole post just about this book, but I’ll just say that this novel is absolutely stunning. It’s YA fiction, but it’s just as powerful as any adult fiction I’ve read on the Holocaust and World War II. I was weeping by the end of it. The story is told in a very unique way, with Death as its narrator. The characters and setting are vivid, and the questions it asks about our participation in social power dynamics are really important. Rilke’s Book of Hours. I’ve been reading a couple pages each morning for the past few months, and it has done my heart so much good. Rilke’s words are so full of grace, and they linger in my mind long after I read them. This poem is my favorite so far. North of Hope. This memoir by Shannon Huffman Polson about losing her father and stepmother in a freak bear attack in northern Alaska is absolutely gripping. (Yes, you read that right. A bear attack. So horrifying and tragic. You can read the National Geographic story here.) Polson is a master with language, but also with lament as a form of writing. And actually, it was her session at Festival of Faith & Writing, “Writing as Lament” that acquainted me with her and her work. Just like her FFW session, her book is both heart-wrenching and healing. Found. 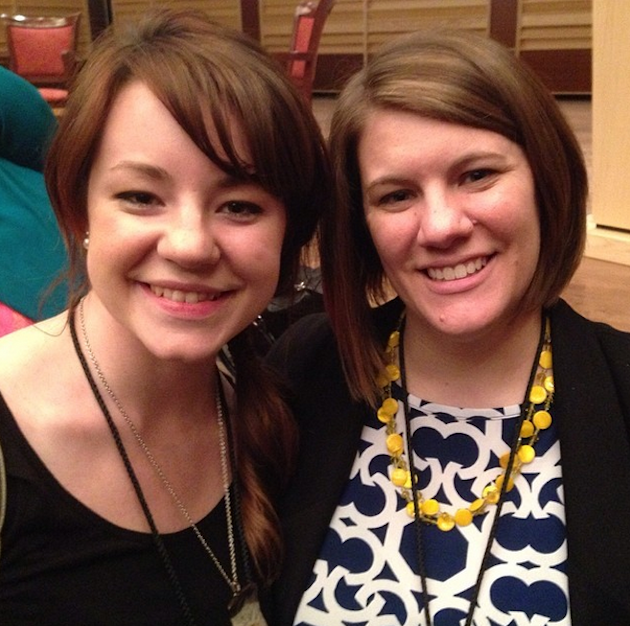 I met Micha at the Festival of Faith & Writing, but I’ve been reading her blog for a couple years. Her spiritual memoir just released this month, so when we met at FFW I was lucky enough to get a signed copy. Found is a grace-infused story about losing prayer and finding it again through Benedictine spiritual practices. 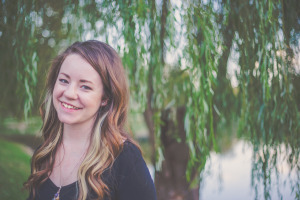 Though the circumstances of the book largely focus on spirituality through the lens of Micha’s experiences as a young mom, I’ve still found a lot to relate to in terms of incorporating prayer into my ordinary, hectic life. My new friend Sarah Joslyn wrote about the bond we forged at the Festival of Faith & Writing for SheLoves Magazine, O, Hope. O, Sisterhood. It was beautiful and true, not just because it was about her and me, but because I think a lot of people (men and women alike) have experienced flash-in-the-pan relationships. Real friendship is so much deeper than that, but it takes a lot of trust and vulnerability to get there. Also on SheLoves, this post, What If God is a Woman Keeping Watch? is quite arresting. And even more SheLoves loveliness (sensing a theme yet? I love that corner of the internet. ), this time from Kelli Woodford, Can I See Your Belly Button? My friend Ben Moberg’s first post for Deeper Story, Grace for the Addict, was fantastic. My friend Dianna Anderson wrote this post last week, When Personhood is Not Enough, and as usual it was so challenging and brilliant. Even better, one of my college professors told me later that week that after she read the link I posted on Facebook, she used Dianna’s post in her Group Theory class! Made this alumna SUPER proud to know that these discussions are taking place at my alma mater (an evangelical institution, no less!) And it’s also just exciting whenever I see my friends’ important work make an ever-widening impact. Well deserved, Dianna. And Addie Zierman struck a resonant chord with me on both these posts: When Depression Comes Back and The Five Stages of (Faith) Loss. This series from Laura Tremaine, Why I Blog, is really informative and insightful. A lot of readers don’t realize the work it takes to maintain a blog, much less one that publishes content 3+ times a week (which is why I only post once a week, if I’m lucky.) If you’re wondering how blogging works, I’d highly recommending reading her series. Favorite film I watched this month : Philomena. I love Judy Dench anyway, but this film is so powerful and she plays her role so beautifully. Bring kleenex, and also prepare to feel consumed with rage at the course of events, because it’s based on a true story. Not-so-favorite : The Book Thief. I don’t know, a lot of people who read the book say they love this adaptation, but it just … felt too anesthetized for a younger audience to live up to the emotional weight of the book. Anyone else have thoughts about this? Not-even-close-to-favorite : Gravity. It’s basically a two-hour simulated panic attack. I’ve been in a bit of a rut when it comes to music recently. I gravitate toward indie folk (Feist, Glen Hansard, Josh Garrels, Bon Iver, Tallest Man on Earth), but I also love some pop and hip-hop (Lana Del Ray, Justin Timberlake, Macklemore) to keep my blood pumping during quiet afternoons at work. Any suggestions? Favorite breakfast : The promise of a happy breakfast is the only thing powerful enough to get me out of bed in the morning. In the winter months, my go-to was a variation on this Joy the Baker oatmeal recipe. Now that it’s spring, I’m craving lighter fare. My new go-to is a dollop of Greek yogurt with diced mango, honey, and a dash of cinnamon, topped with almonds. SO YUM. And don’t forget the coffee. Sushi with Abi, Karita and Sarah at Fuji Yama during Festival of Faith & Writing. The conversation was delightful, too. A bowl of spicy soba noodles based on this recipe from DesignLoveFest. It’s such a quick meal and it pairs so well with a rainy Monday evening and a glass of Cabernet Sauvignon. Homemade pizza. Hubs and I both love pizza, but our tastes in pizza differ greatly. He’s Chicago-born and raised so he has STRONG OPINIONS about toppings and crust style. Having been to Italy and eaten real pizza, I’m more in favor of a thin crust/margherita style pizza piled high with veggies. So the other night we decided that instead of compromising on a woefully dissatisfying frozen pizza or splurging on takeout, we’d each make our own. WHY DIDN’T WE THINK OF THIS SOONER. Mine had a thin glaze of tomato sauce topped with fresh tomatoes, kalamata olives, artichoke hearts, shallots, mushrooms, spinach, basil and mozzarella. Heaven on a pizza crust if you ask me. Festival of Faith & Writing. Cost : I wasn’t sure I could afford the cost of attendance, but by some miracle, everything fell into place and it fit within my budget. I was able to get a discounted ticket ($170) and find a couple of friends with whom I could travel & split hotel fare. And it was SO WORTH THE INVESTMENT. The caliber and range of speakers blew my mind. Poet Luci Shaw is such a gem. Her session, “Work that Enfaiths,” was one of my favorites, especially this quote: “Faith is an act of believing in things unseen. Therefore, the glow of last month’s writing isn’t enough. You have to renew your faith in words yet unwritten. It is an act of spiritual discipline.” That’ll preach, Luci. Jeff Chu was another festival favorite. His session, “In Praise of Bias,” shook me up in all the best ways, from making me weep as he read an essay about his mother making a meal for him and his husband to challenging me with thoughts about bias in the media. “A country gets the media it deserves,” he said, and I think he’s right. If we want a media that tells truer, more empathetic stories, then we need to be better consumers. Sharon Garlough Brown is a novelist and spiritual director. 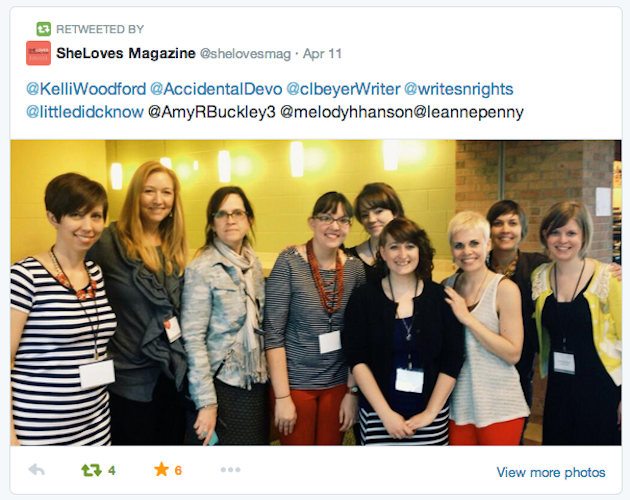 Her session on “Writing as the Beloved,” addressed common spiritual obstacles for writers and ways to overcome them. Her thoughts on envy and scarcity were especially challenging, and I’ll be blogging about what I learned from her next week. Stay tuned! Anne Lamott also spoke at FFW, and you know what an Annie fangirl I am. “Art is about bringing good drinking water to a very thirsty world,” she said, and it’s so true. Her words have quenched my desperate spirit so many times. Hiking with Kelli Woodford. 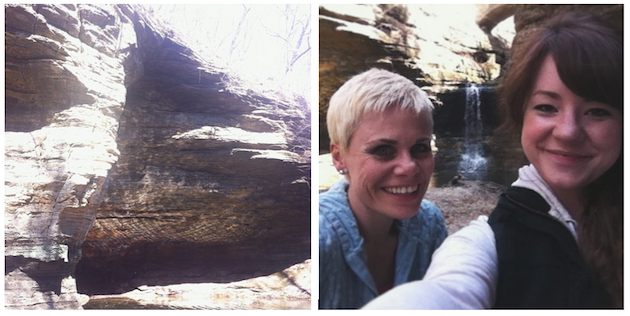 Kelli and I met face-to-face for the first time at FFW, but we met up again the following Friday to hike through Matthiessen State Park together on a beautiful, warm spring day. It was so life-affirming to walk and talk for hours together about life, faith, and all sorts of randomness. I hope it happens again soon. As I mentioned before, I’ve fallen off the blogging bandwagon this month, but it’s not for lack of writing. Some things are moving forward with my book, so it’s requiring all my attention right now as I write and edit, write and edit. I’m still in the proposal-refining stage and it’s vey time-consuming and some days I feel like it’s never gonna happen. But the way I see it, it’s like putting the scaffolding in place so that eventually the artist can get up there and paint. Not my favorite part, but it’s good, necessary work. All the blooms. Spring, I’m so glad you’re finally here. This shirt, a gift from Sarah Joslyn. She literally gave me the shirt off her back. She was wearing it on the Sunday after FFW and noticed me staring at the neckline detail in fascination (because hello, brass studs + navy blue shirt = totally rad). The next day she handed it to me and said she wanted me to have it because I liked it so much. What?! So I made her do a clothing swap with me. She took a tunic of mine in exchange, but I really feel like I got the better end of the deal. No one will care if I just wear it all day every day forever and ever, right? Because then I can have her with me always. This lemon yellow Le Creuset mug, one of a pair that I received as a thank you gift from Cara for letting her travel with me to FFW. They’re so cheery and their color matches the heritage cocotte that my in-laws gave me for Christmas! Other than my Le Chat mug, I think these are probably my favorite. My new haircut. That’s right, I gave my mane a little chop this month. It was close to the middle of my back, and now the shortest layers are just below my clavicle. It’s kind of a messy, wavy, long bob. I love it. It was uncharacteristically spontaneous of me to get it cut like this (I tend to be really neurotic about my hair, a story for another post). I’m so happy with it! So that’s where I’ve been this month, friends. Props to any of you that actually read this whole thing. Stay tuned for a new post or two next week, and some excitement coming later this month. If you actually liked my What I’m Into post for Leigh’s syncroblog and want to see more round-ups like this in this space, say so in the comments. I’d do it again if I know people will read it! And tell me what you’ve been up to in April. What were your favorite books, blogs, films, music, food, outings and other randomness this month? You, Who Meet Us in Our Solitude. Last week I declared myself post-evangelical thanks to the World Vision debacle (for explanation see Part 1 and Part 2. 10,000 children lost their sponsorships as a result). This week, I’ve wrestled and grieved deeply. I grew up in conservative evangelicalism and I love my faith and my family and my church home, but my views are shifting. I’m in the process of discerning what it means to stay and what it means to leave, and what it means when Jesus asks us to love our neighbors as ourselves. I don’t have much to say at this point, and a lot of it has already been said by dozens of others ad nauseam. But I thought I’d share this Rilke poem with you, because it found me in my hour of need one morning last week. 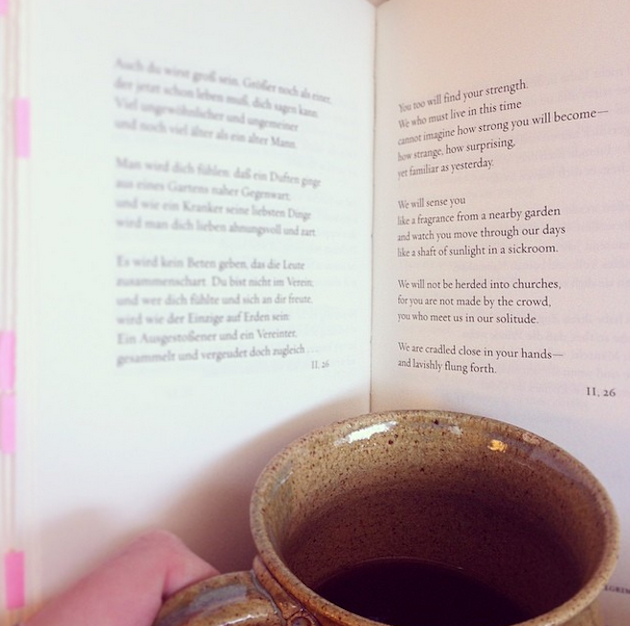 These days my best attempt at spiritual practice and communing with God looks like a cup of coffee, a bit of breakfast, and a few pages from Rilke’s Book of Hours or Manning’s Ragamuffin Gospel. “You too will find your strength. God walks with each of us in our wilderness. We all wrestle with answers to difficult questions and find our own paths. But my hope is that we stay sensitive to the movement of the Spirit. My hope is that we pay close attention, that we sense His Grace like a fragrance from a nearby garden, that we listen to the suffering people among us long enough to see Him moving through our days like a shaft of sunlight in a sickroom. Whatever we call ourselves – Christian or non, straight or LGBTQ, conservative or liberal, evangelical or whatever; wherever we go – into churches or homes or bars or tables in the wilderness – we will all be met with the surprise of His presence, a Love beyond our imagination. The question each of us must ask ourselves is this : Are we moving with Him? Or are we trying to close a door on people that He has already opened? We are held in His hands and lavishly flung forth into the world so that we can live and love just as lavishly. May we do so, and with abundance. Sarah Bessey’s words for the ones who leave and the ones who stay. “The agent of healing is an outlier who Jesus purposely placed in the role of honor.” – Jen Hatmaker. 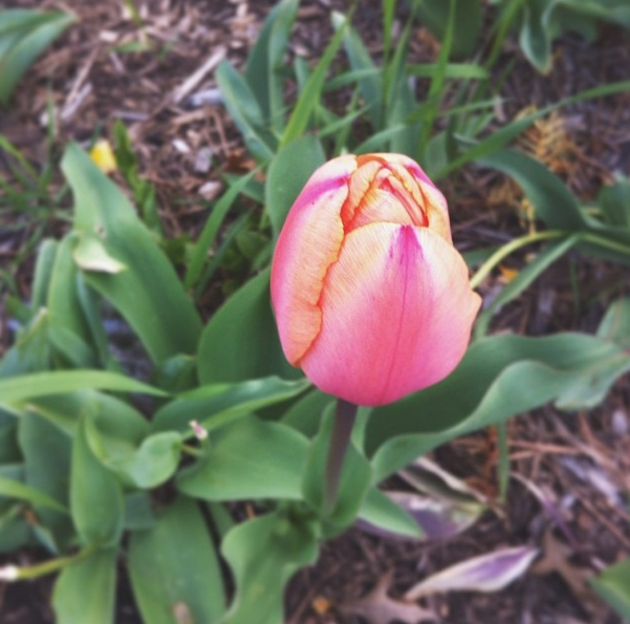 “We are resurrection people.” – Rachel Held Evans.